Everyone loves to eat fried food such as French fries because of its delicious taste. However, fried food is not good for health as a lot of oil is used for frying which can cause serious health issues such as obesity. But, with the help of a popular kitchen appliance, i.e. 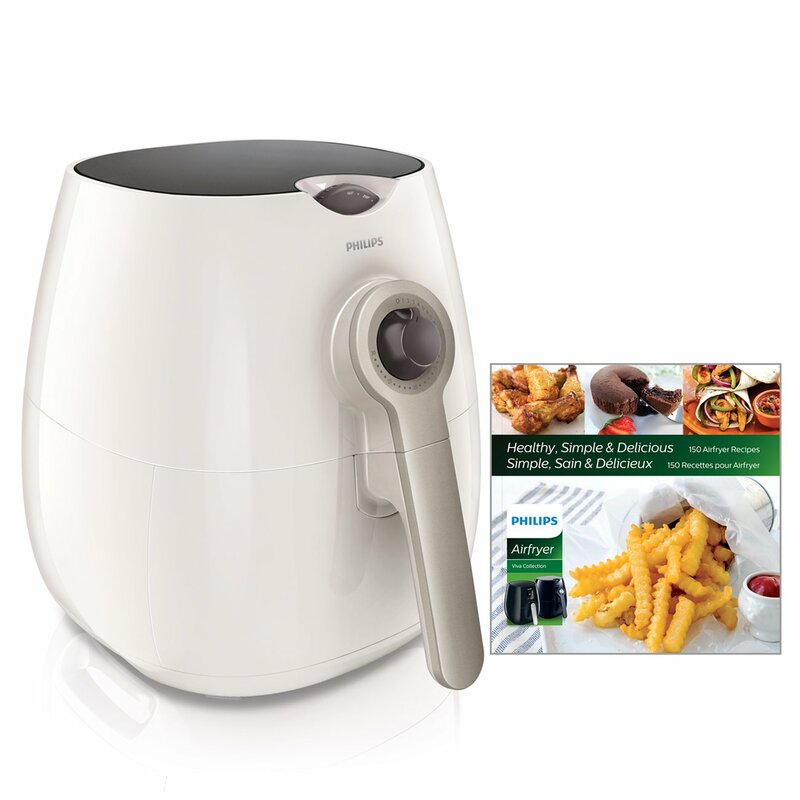 air fryer you can easily enjoy fried food and that too without worrying about health issues as it uses a very small quantity of oil. Moreover, there is no difference in taste because of less oil used. Because of such massive benefits, this appliance has been appreciated worldwide. However, several models of this appliances are available in the market, but all of them are not of the best quality. The first thing to look out in this appliance is its size and capacity. It’s important to consider the size of this appliance because some models have mammoth size which doesn’t fit on the counter top and makes things difficult for you to store this useful appliance. Capacity is also important because some models are designed for preparing snacks or food in smaller quantity while some are designed for preparing large amounts of dishes. Most of the fryers have the capacity to cook between 1.8 and 2.5 pounds per food. So, choose the fryer depending upon its size and capacity. This is the most important point you should look out in a fryer because the performance of this appliance depends upon its settings. You should look out for temperature settings, mode settings and other settings if you want to get the most out of it. A fryer without temperature control settings will be of no use as different dishes requires different temperature level. Moreover, it’s important to check out the mode settings, because some dishes are best cooked using a dry cooking method while some in wet cooking method. So, make sure the appliance you have chosen has different cooking modes. Some fryers are designed for preparing multiple dishes at a time while some are designed to cook one dish at a time. Moreover, some fryers are best for preparing meat and fish dishes while some are best in cooking other meals. So, do check out the feature of an air fryer model and make sure it supports all the features you are looking for. You also need to make sure that your kitchen outlets supports 800-1400 watts, as most of the fryer models requires such wattage. These are some of the important points which will help you to choose the perfect air fryer. So, choose this appliance on the basis of the points mentioned above and prefer to purchase it from the online store and maximum discount can be availed on e-commerce sites which help you to save a lot of money. 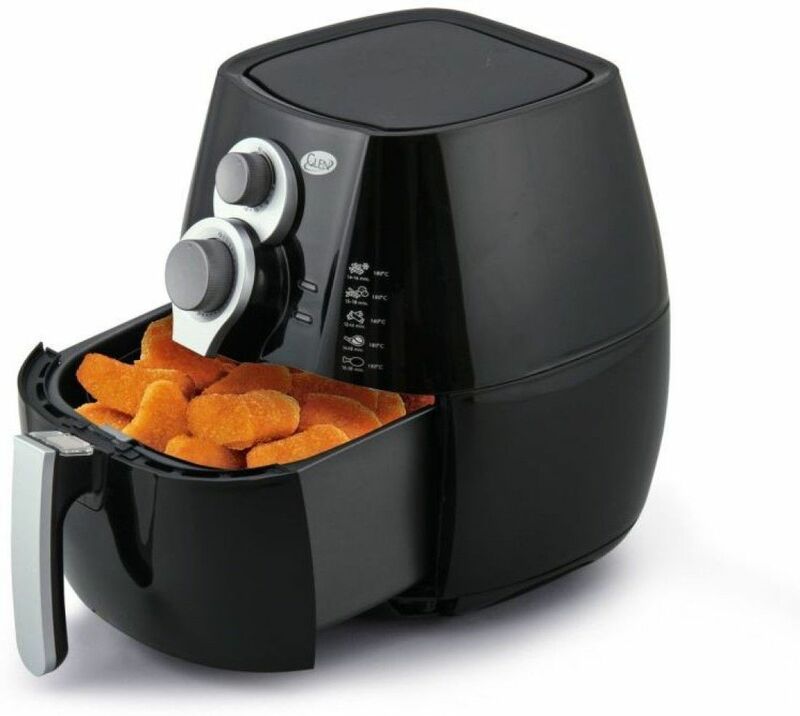 Deep fryer and air fryer sound similar because both are responsible for cooking regular food. A different method is used for cooking food in these appliances, but the taste is similar as the food produced is delicious and crispy. There is a lot of similarity in these two popular kitchen appliances in terms of features as both comes with adjustable temperature settings, removable tray, digital screens and user control. However, the major difference between them in terms of features is auto shut off. 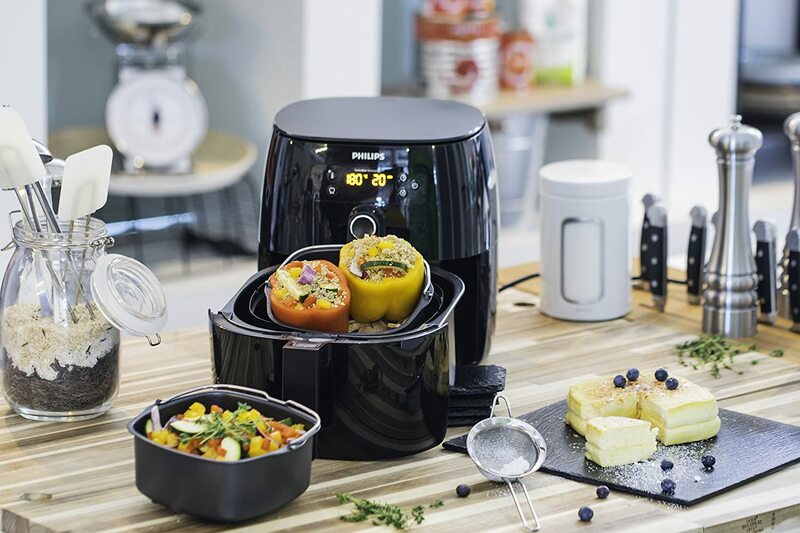 Air fryer automatically turns off the heating coil depending upon the cooking time, whereas deep fryers comes with an adequate odour control which uses charcoal filters which turns off the heating coil once the food is properly cooked. ​These appliances are a lot different in terms of size and capacity because air fryers are usually small in size as compared to deep fryer which means a deep fryer can cook food in a huge amount as compared to air fryer. 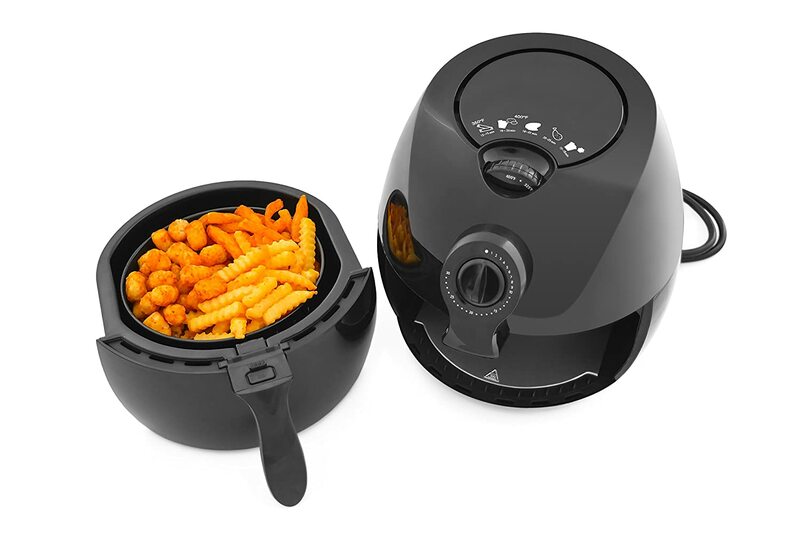 If you are looking for a fryer for cooking occasionally snacks or a small meal, then air fryer is the best option as it has a less capacity which cooks food in a quick time. However, for daily purpose and cooking food in a huge amount prefer deep fryer as it has a mammoth capacity which is enough to feed the whole family. Oil is needed to get the right amount of crispiness. 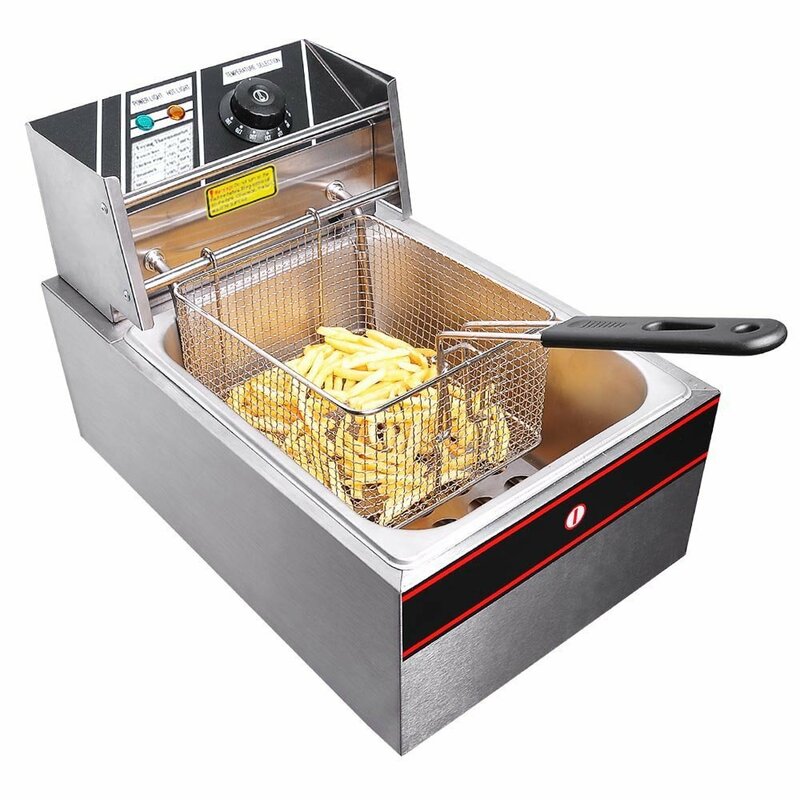 Deep fryers use a large amount of oil to provide the exact amount of crispness, whereas on the other side air fryers operate by using a very low quantity of oil and produce same results i.e. delicious and crisp food. 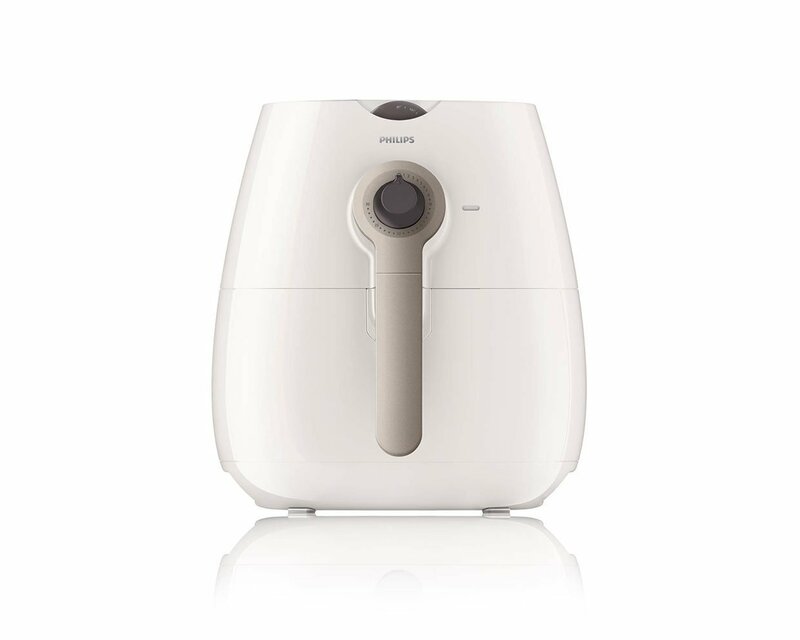 So, prefer air fryer over the deep fryer as the food produced is less oily, which definitely keeps you safe from the side effects of oily food such as obesity, heart problems and many more. Both the appliances are easy to maintain as you need to wash out the tray and other basic components. 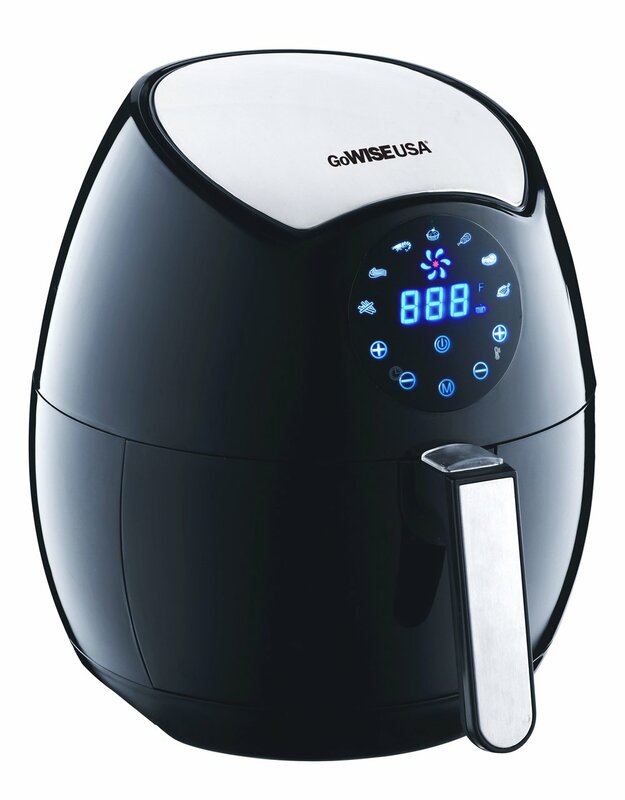 However, cleaning air fryer is much easier as compared to deep fryers because you don’t need to drain the oil before cleaning the fryer. Moreover, the size of the air fryer is small as compared to deep fryers which mean you need to put fewer efforts in cleaning air fryer. There is not a lot of difference in the price of these kitchen appliances, but air fryer is expensive as compared to deep fryer because it uses rapid air technology for cooking food and is more efficient in producing healthy and delicious fry food. These are some of the major differences between the two most popular kitchen appliances. Air fryers are better in terms of maintenance and healthiness whereas deep fryers are better in terms of capacity and features. Auto turn off feature - this feature is really a game changing in term of safetiness. Also save you from unwanted food results. ​Comparable size - more space for your kitchen. ​Healthiness - reduce to minimum risk of getting heart deseases and other health problems. Easier maintenance - effort put on the design of Air Fryers make them more frendly to maintenance. 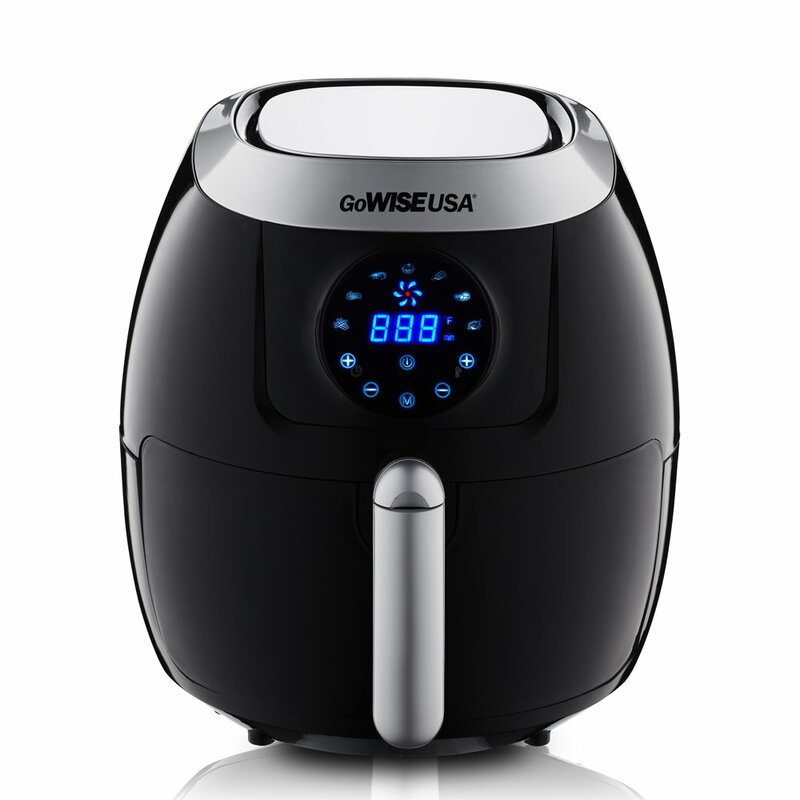 Are there any major disadvantages of dry frying through an air fryer? Dry frying method is the simplest of all the other cooking methods and is quite popular for preparing fish and meat dishes. With the help of this method, you can create a crust on the piece of meat which adds crispness to the dish. This method has numerous methods in terms of flavour and texture, but also has some major disadvantages which are quite difficult to ignore. This method requires special attention because the food is cooked at 300-400 F temperature. If you lose your focus from cooking even for a fraction of seconds, then there are chances that the food might get burnt because of a high temperature level. Burnt food will spoil the taste and moreover all your efforts will go in vain. Like other methods you cannot leave the kitchen because you need to keep a regular eye on the food when you are using this cooking method. However, the cooking time is quite less in this method which makes things simpler for you. As this method quickly cooks food, the food is also quick to dry out. So, you need to be extremely carefully and an expert before using this method in order to enjoy delicious crisp foods. Another major disadvantage of deep frying method is the development of acrylamide. When you use grilling or roasted method for cooking meat, you will find blackened crusts in the meat. This compound is found in this area and is not at all safe for health as it can lead to cancer. So, if you are using a deep frying method for grilling or roasting meat then make sure you remove all the blackened areas of the meat before eating. These are some of the major disadvantages of deep frying method which are quite difficult to ignore. However, the best solution to get rid of this problem is to use air fryer. This popular kitchen appliance comes with auto shut off feature which automatically turns off the heating coil when the food is properly cooked. So, there is no chance risk of burning. You can use this appliance to cook food in different methods. This appliance makes sure the food is properly cooked and no area gets blackened due to overheat, which means there is no chance of development of acrylamide. No cooking method is able to preserve nutrients as maximum nutrients are leached out during cooking. However, if you cook food then you will be able to preserve all the nutrients of the food which makes the food healthier. These are some of the benefits of air fryer which solve the major problems of deep frying method. So, get this popular cooking appliance as soon as possible and enjoy numerous benefits such as different cooking methods, time saver, economical and much more. 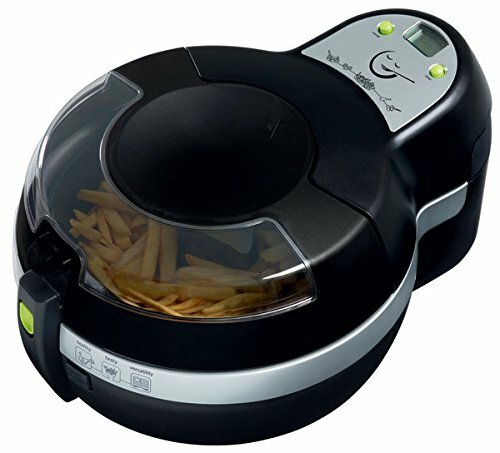 This appliance is available in different sizes, so buy a fryer with perfect size depending upon your purpose. If you want to cook food for a few people, then a smaller size fryer will be the best option. 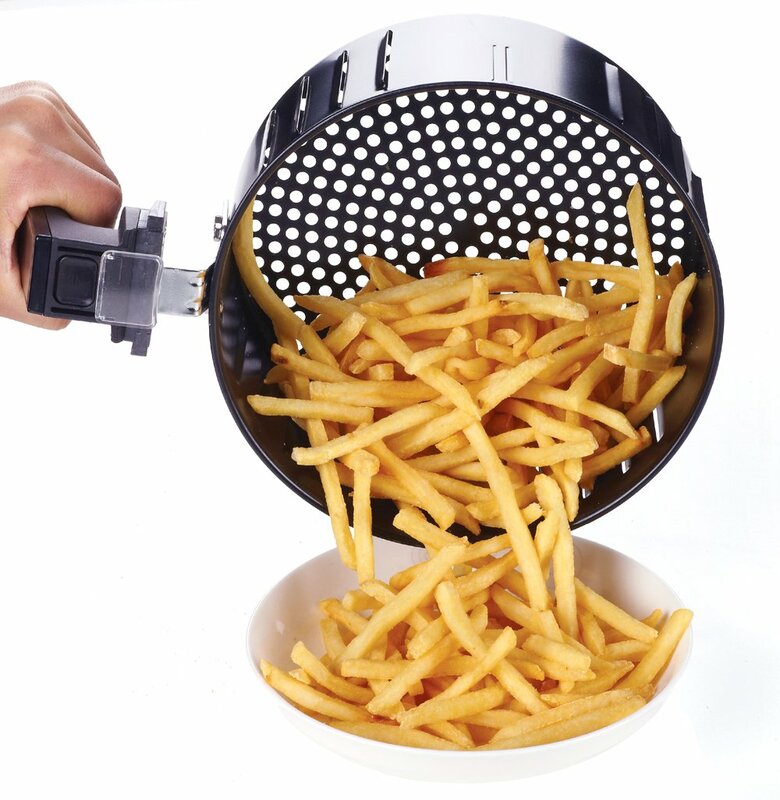 Large fryers have a mammoth capacity and are appropriate for cooking huge amounts of food. If you want to enjoy healthy fry food, then it’s important that you choose the right oil. If you are cooking food at medium temperature, i.e. between 120 and 200 degree Celsius, then olive oil will be appropriate as it is rich in antioxidants. For cooking food at a high temperature level, then use canola oil as it has a high smoking point. So, choose the right oil in order to enjoy healthy deep fry food because if you use the same oil for cooking food at any temperature level, then you will affect your health as different oils has different smoking point. If you really want to enjoy healthy fry food, then it’s important that you follow the instructions mentioned. Use the right quantity of oil to fry food. Before immersing the food makes sure the oil is hot because if you immerse food before oil heats up, then the food will get soaked up and as a result it will become oily and lose its crispness and taste. So, immerse food only when the oil is hot in order to enjoy tasty crisp fry food. Make sure you put the proper amount of food in the fryer because if you overcrowd it with extra amount then the oil temperature will get reduced which will produce poorly cooked food. These are some of the major elements which must be considered by people if they want to get the most out of an air fryer. You can also take help of the recipe book provided along with the fryer to easily cook different food dishes because the methods mentioned in the book are quite simple. Before washing the fryers, store the left over oil in a cool and dark place so that you can use it for the next time. However, if the oil starts giving a bad odour or turns to a dark brown colour then discard it. To clean this appliance, disassemble it and wash each part individually. Wash the parts until they stop emitting smell. Different methods are being used for cooking. Some prefer dry heat method while some prefer wet cooking method because each method has its own pros and cons. However, you cannot simply use one method for all the recipes so it’s important to choose a perfect cooking method depending upon the dish. If you find it difficult to choose a perfect cooking method, then get an air fryer. With the help of this appliance you can easily cook food in any method. Food cooked by this appliance is best in taste and healthy as it doesn’t require too much oil to cook food because of rapid air circulation technology. Dry cooking methods such as broiling, deep fat frying are quite rich in flavour because of the caramelization. However, they are also rich in fat and calories which are some of the demerits of this cooking method. Let’s have a look at the merits of drying cooking. If you are using dry cooking food, then your food will have a perfect texture and crunch, which you will never get from other cooking methods especially wet cooking method. You can create a crust on the food using roasting or grilling method. Moreover, grilling method adds a smoky flavour to the dish if you use this method on an open grill. One of the major benefits of using dry cooking food method is that it gives more control over the flavours you can add to the dish. You will enjoy the taste of each flavour you add into the dish using this method, whereas if you use dry cooking method such as steamed or poached then flavours will run off the dish. This method utilizes fat for preparing dishes. Like other methods, you do not need to add oil to keep food away from sticking, but you need to use some sort of fat if you want to cook food with this method. If you do not brush a piece of meat or fish with oil on the grill, then it will become difficult for you to pry off the grill. Since fat is added in the dish, the food is rich in calories and fat which is definitely not healthy. This method requires full attention because if you leave the food in the heat too long then it will dry out. Moreover, this method is not at all suitable for the people who love to eat dishes with juicer finish. Another important disadvantage of not only dry cooking method, but also a wet cooking method is that they are unable to preserve all the nutrients of the food. Whether you cook food in water or on dry heat, the food will lose its most of the nutrients. The best way to preserve nutrients is to use a popular kitchen appliance i.e. air fryer. This appliance makes sure the food is properly cooked without leaching out its nutrients. Dry cooking food methods or wet methods or any method of cooking foods has it own pros and cons, however, you can still make the best use out of dry cooking with an effective good Air Fryer."